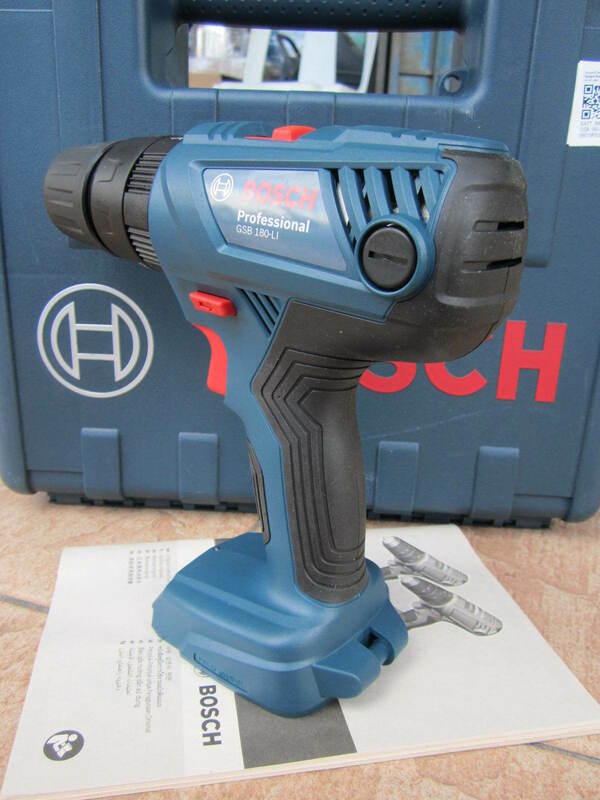 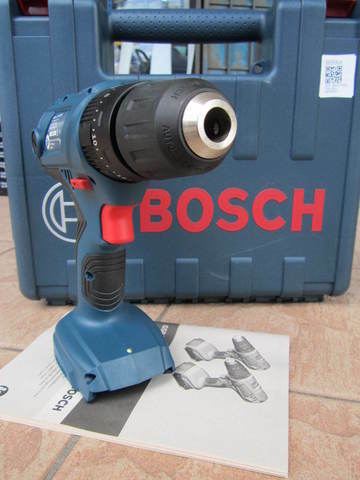 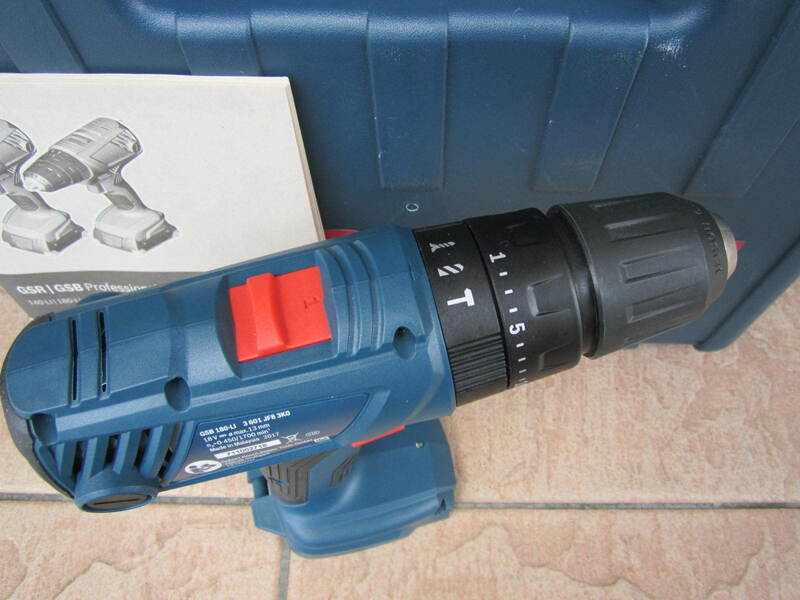 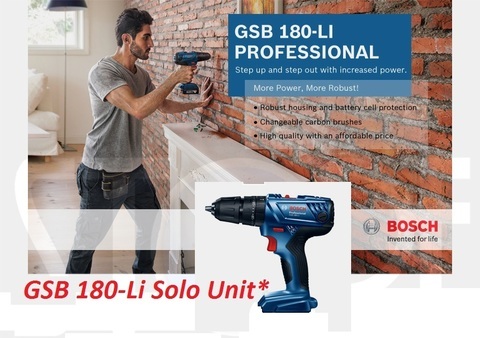 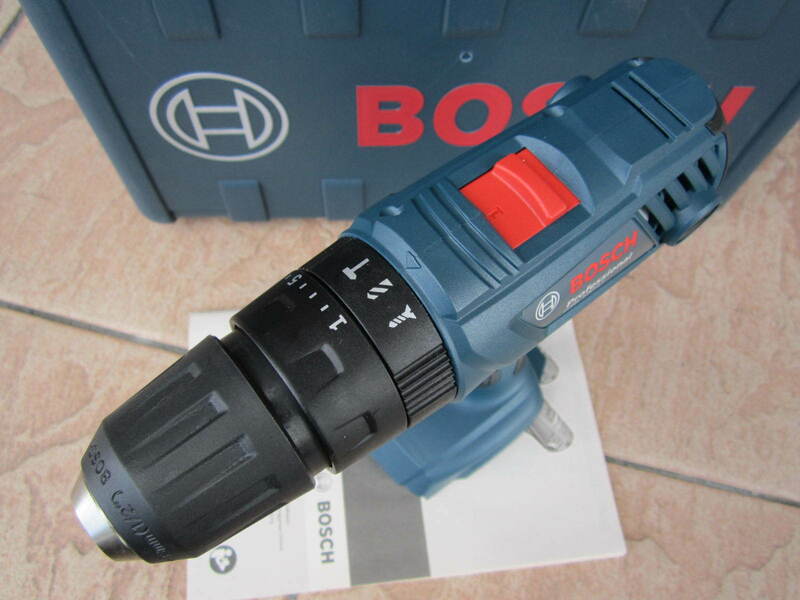 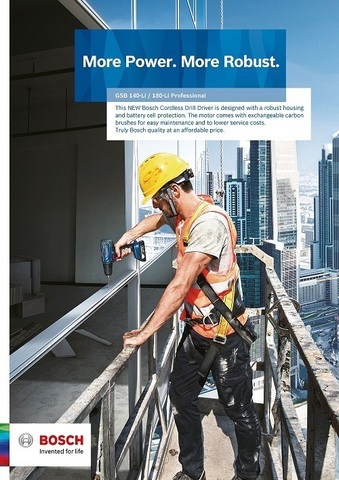 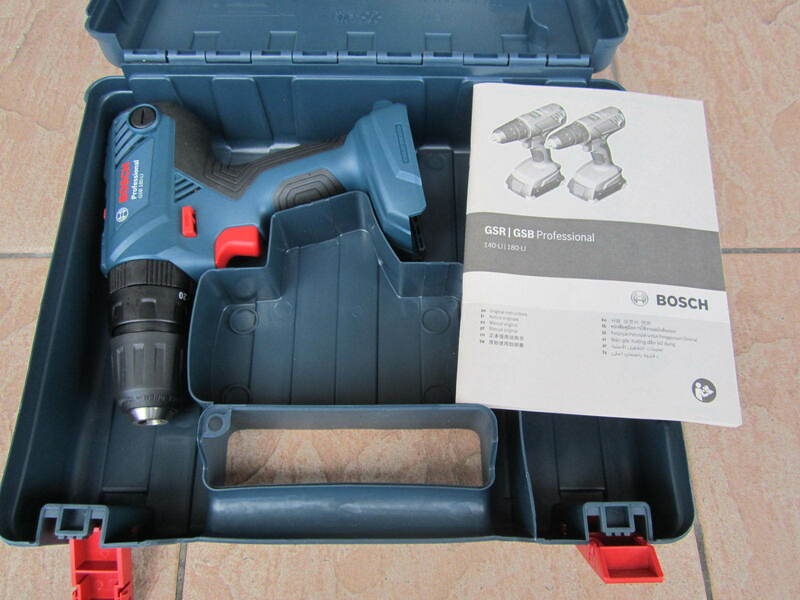 Bosch GSB 180-Li 13mm Cordless Impact Drill (Solo Unit)..
.Affordable: Bosch Quality at affordable price! 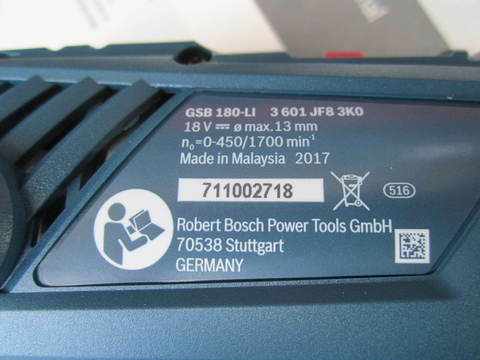 .Highly Serviceable: Motor has changeable carbon brushes for easy maintenance and serviceability! .Durable: Designed with Robust Housing and Battery Cell Protection! 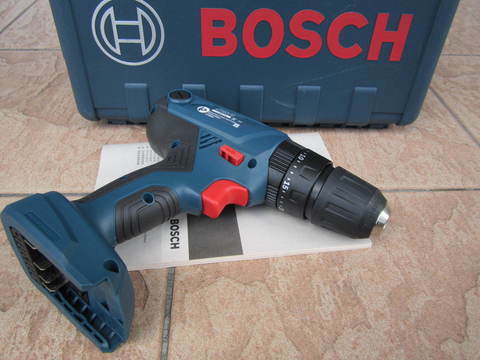 .Changeable Carbon Brushes: Extends the lifetime of the motor! 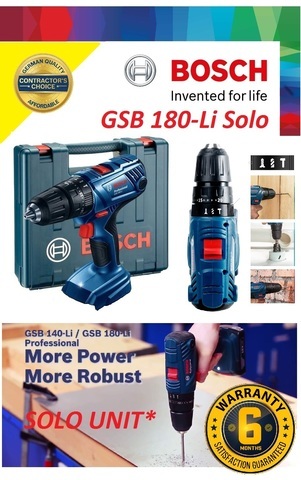 .Electronic Cell Protection: Protects the Tool and Battery! .Tool Status Feedback: A blinking LED lets you know if the tool has been cut off to protect itself due to Electronic Cell Protection or current overload. 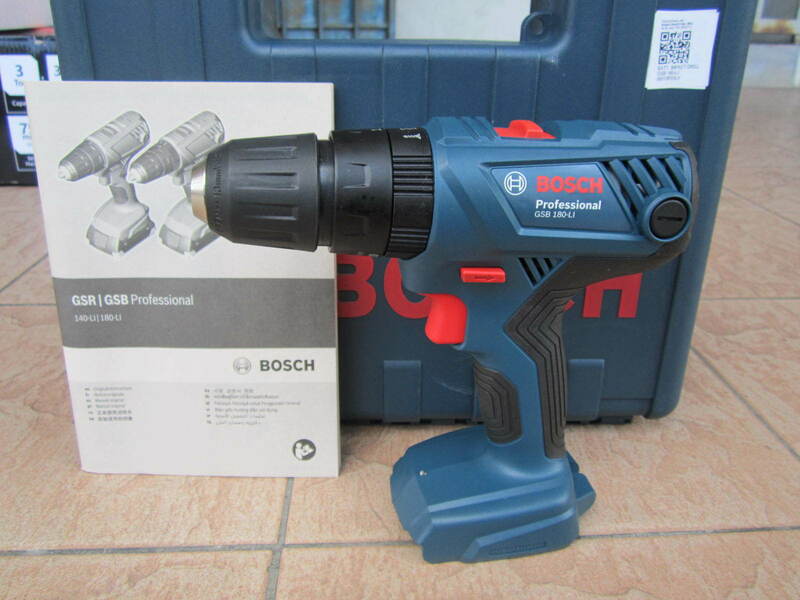 PRICE RM239.00..(Bosch Invented For Life)..